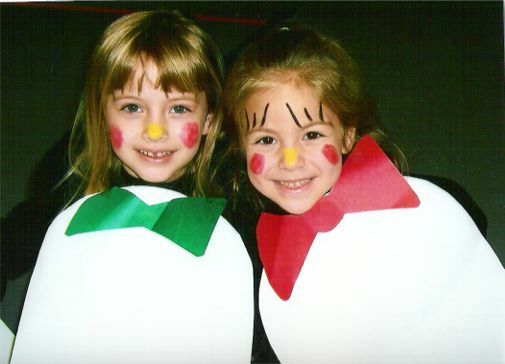 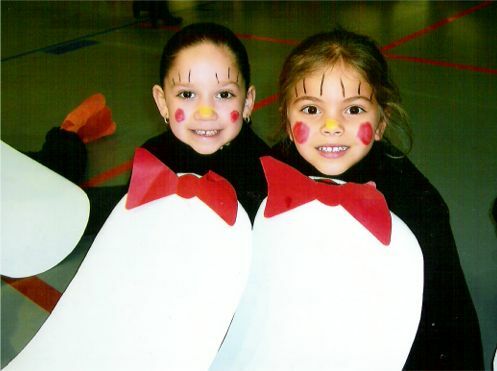 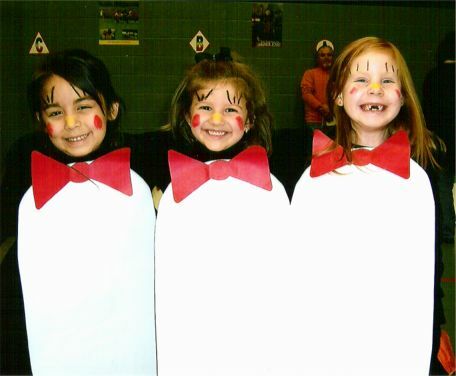 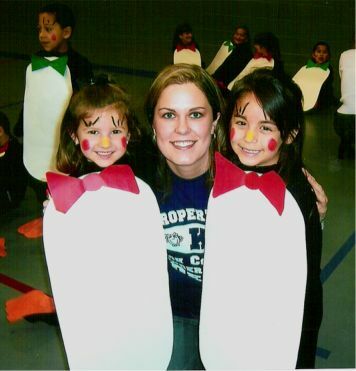 "How the Penguins Saved Christmas"
On December 6, 2005, kindergartners might have been mistaken for penguins when they starred in the December PTA program. 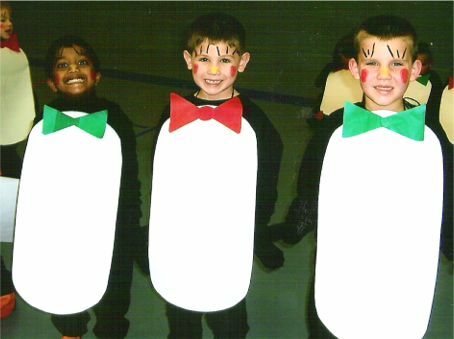 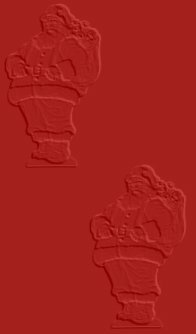 The penguins sang songs and helped Santa remember who he was after he lost his memory and didn't know how important his job was on Christmas Eve!!! 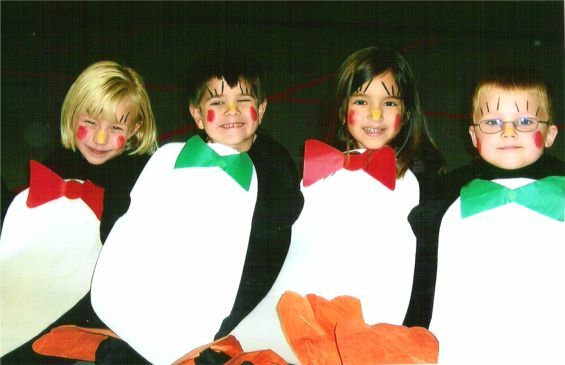 Thank goodness all those "penguins" were there! 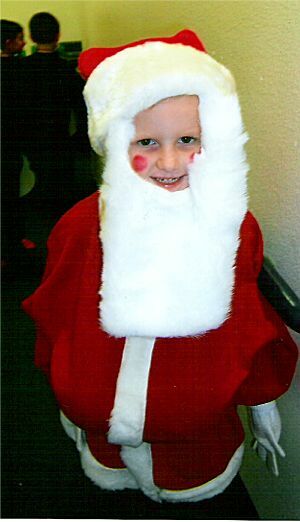 Santa came to his senses and delivered all those presents to the good girls and boys by Christmas morning!